If you are looking for a new or used Dodge Ram 2500, the truck that was engineered to deliver outstanding performance in the toughest terrain, come visit us at Vance Chrysler Dodge Jeep Ram in Guthrie, Oklahoma. We are a short trip down the road—10 minutes north of Edmond, and 30 minutes north of downtown Oklahoma City on I-35. 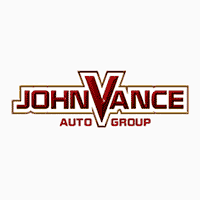 Vance Auto Group has been serving Oklahomans for over thirty years with honest, friendly small-town service with a big-city inventory. It is worth the drive to get the Dodge Ram you truly want. We have nine full service dealerships which means a huge preowned Ram selection for you to choose from. Our new Dodge Ram 2500 models are showcased at our Ram dealership in Guthrie. We have professional staff that takes customer satisfaction seriously. It is our mission to help you find the Dodge Ram that is perfect fit for you. Dodge Rams are built to last. The Ram 2500 was chosen Best in Class for Maximum towing power at 16, 320 lbs and Best in Class for Gas Horse Power at 410. Diesel offers a maximum towing at 17,980 lbs and diesel torque at 800 lb-ft. You’ll find a class –exclusive five-link coil rear suspension and an available class-exclusive rear auto level air suspension with a heavy duty Gas payload of 3, 990 lbs. You’ll love the sophisticated interior in such a hard-working truck with luxury touches and versatile seating options that offer optimum passenger comfort. There are multiple hidden interior storage solutions under the rear seat and in the rear floor. U Connect 4C with an 8.4 inch full color touch screen touchscreen which offers navigation and Sirius XM Guardian with a full year subscription that give you all the comforts of home no matter where the road takes you–even off the road! Ask about our amazing 5 yr/100,000 mile warranty and extra gear options to customize your own Dodge Ram 2500. Come out to Guthrie which is the capital of Oklahoma truck country and let us put you into a Dodge Ram 2500.